Yes, that name is completely made up. But the meal is not-it’s fantastic. 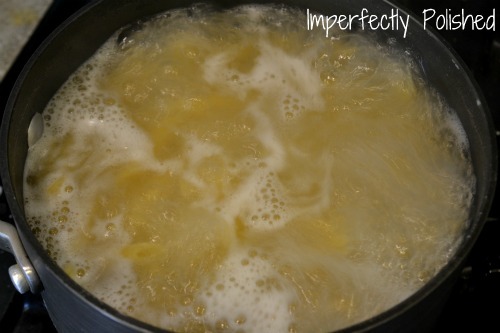 Start out by boiling water for your pasta. Then brown the chicken. 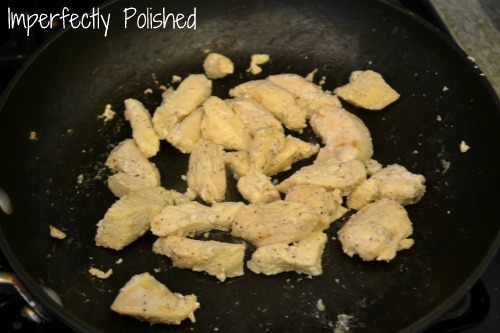 For Mike and I, I used two chicken breasts cut into slices, spiced up with salt and pepper. Once it is done, set aside. Meanwhile, salt your pasta water and add the pasta. 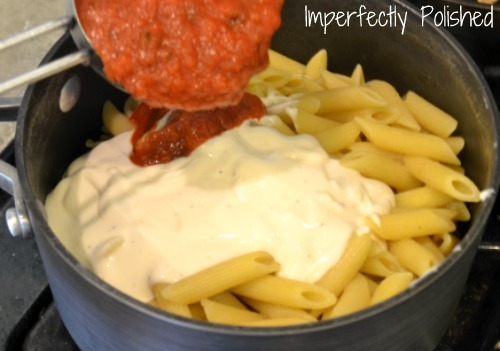 When it’s al dente, drain your pasta and then it’s time for the sauce. 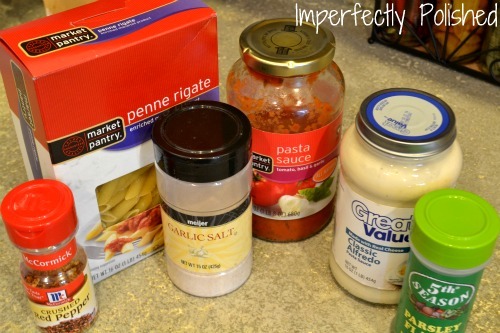 Add 1/2 cup alfredo sauce and 3/4 cup marinara sauce. Stir it all up. Add garlic bread and a salad and you’ll have a feast! Since we’re all about the numbers over here, we calculated this to be about 500 calories per serving and about $2.00. Not too shabby. oh my goodness! 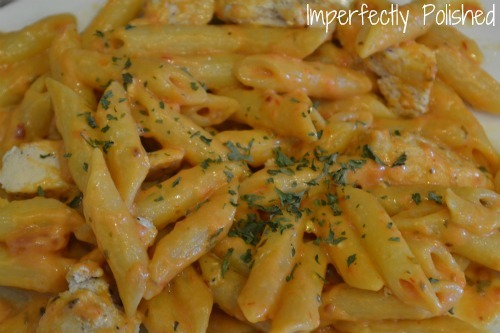 Thanks so much for this…I love chicken alfredo and my husband loves spaghetti…this would be a great recipe for us! Delicia! Vou preparar essa receita amanhã!